Inking It Up With Cathy: Missing in Action????? But I am back and committed! I just hosted a brayer class and have a Stamp-A-Stack and my annual Christmas Card class coming up in October so you will be seeing lots of new ideas over the next few weeks. Here's a great picture of my daughter's dorm in Montana. I need not have worried about her getting to know people before we left! 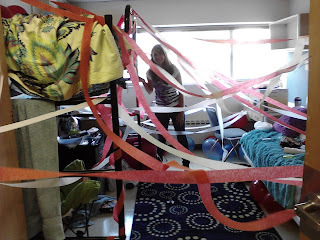 Her birthday was exactly a week after she moved into the dorm and she was already friends with some great kids that decided to grab her dorm keys and decorate her dorm room with signs, streamers and balloons on her 18th birthday! Why was Mom worried? 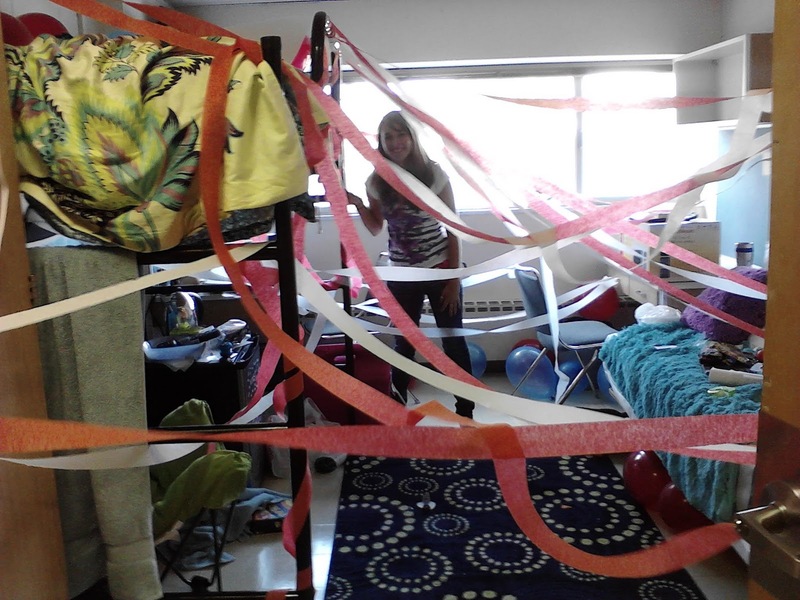 She is having a ball - including having her dorm room to herself for now since her roommate never showed up!